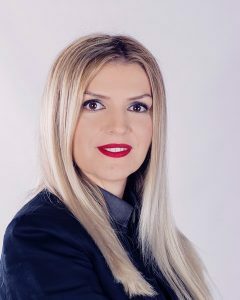 Rozafa Ukimeraj Çuni was born in Prizren on 4th of August 1982. She completed her primary school, gymnasium and lower secondary school of music in Prizren. She studied law and due to her great success shown during studies, has been awarded with the degree cuma laude “Distinguished Student”. She holds a Master degree in Public Administration and pursued her further postgraduate studies in the field of Public Administration and International Relations in the USA. 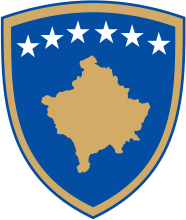 During her undergraduate studies, she was awarded a scholarship from the University of Pristina and also received a scholarship from the USAID’s fund for her graduate studies. She also passed the Bar Exam. Rozafa started her professional career in the private banking sector. She has a nearly thirteen-year work experience in public administration. She held the position of the Director of Department of Local Self-Governance for five years, while as of 2013 she headed the Department for European Integration and Policy Coordination within the Ministry of Local Government Administration. She also has academic experience in the university. On 31 March 2016, Rozafa was assigned as the Acting Secretary General in MLGA, while on 16 September 2016; she was appointed Secretary General in the Ministry of Local Government Administration. She is fluent in English.